At the conclusion of this year’s annual conference of World Heritage Watch in Istanbul, civil society organizations presented their list of resolutions. These have been announced in a press conference and will be submitted to the World Heritage Committee (WHC). The resolutions include a particular recommendation for the WHC State members to vote for inclusion of the Iraqi Marshes in the UNESCO World Heritage List. On the evening of Sunday July 10, the fortieth session of the World Heritage Committee opens in Istanbul. The Committee consists of 21 State members and on their agenda is the final decision for this year’s nomination of file of the Iraqi Marshes. The wetlands have been in the tentative list since 2003 and its nomination is now at a critical stage. ICOMOS and ICUN, the institutions who have made a draft decision, propose to defer the Marshes’ file in order to request additional information from the Iraqi government. Nonetheless the final decision will be taken by State members during the Committee meeting. Even though the file of the Marshes has been deferred in the draft decision, the final decision is still up for vote. Iraq is not the only country to see a heritage site deferred, and other countries such as the United States are advocating for the Committee to approve inclusion of a deferred site. In 2015 the UN General Assembly adopted the Sustainable Development Goals (SDGs), including a target to strengthen efforts to protect and safeguard the world’s cultural and natural heritage (target 11.4). This was the first time World Heritage became part of the global development agenda. 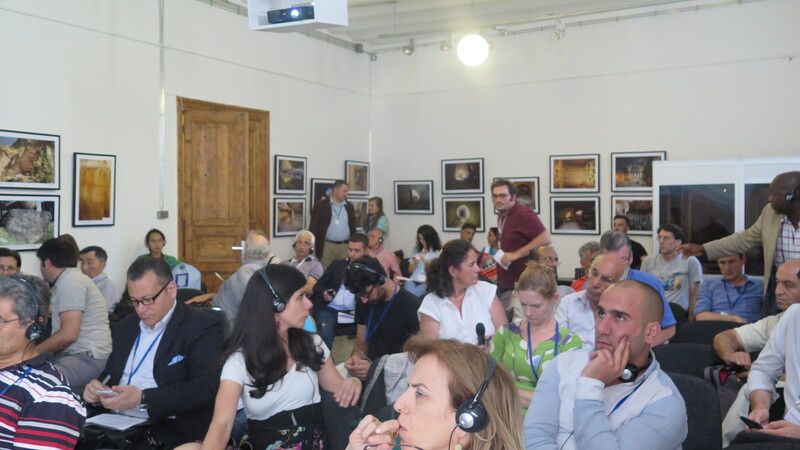 Subsequently, this was the general theme of this year’s World Heritage Watch meeting from 8-9 July, Istanbul, in which the Save the Tigris and Iraqi Marshes Campaign participated. 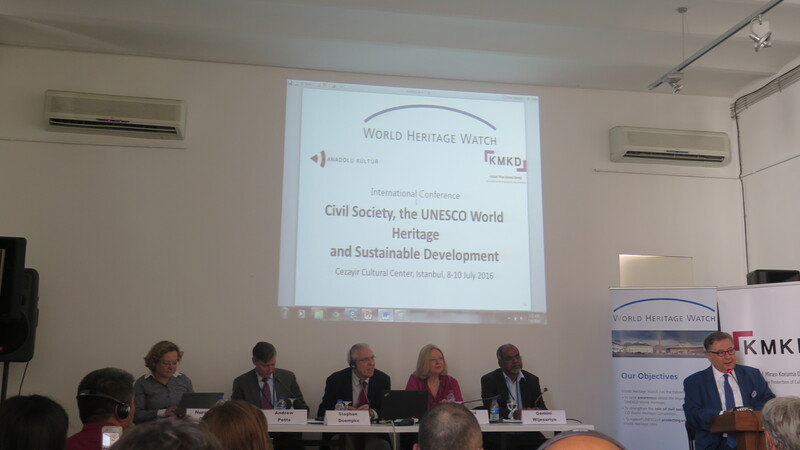 The meeting serves as an NGO conference preceding the annual UNESCO World Heritage Committee meeting. 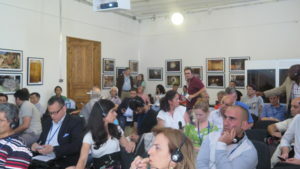 Supported by Turkish and international civil society organizations the Campaign reached a consensus for the conference to adopt the earlier mentioned resolution on the Iraqi Marshes. To safeguard the future of the Marshes, inclusion in the World Heritage List would pay the way towards its sustainable protection. During the conference, the Campaign conducted a presentation on the work of Iraqi civil society for a sustainable development of the Marshlands, and engaged in a discussion together with other heritage organizations on the preservation of cultural landscapes such as the Marshes. In an intervention the Campaign discussed with Dr. Mechtild Roessler, Director of the World Heritage Center of UNESCO, the need for transparency and information-sharing with civil society and local communities. The World Heritage Centre should adopt mechanisms to ensure transparency, and it should urge the State parties of the World Heritage Committee to involve civil society and local communities in the process of nomination and management of heritage sites. 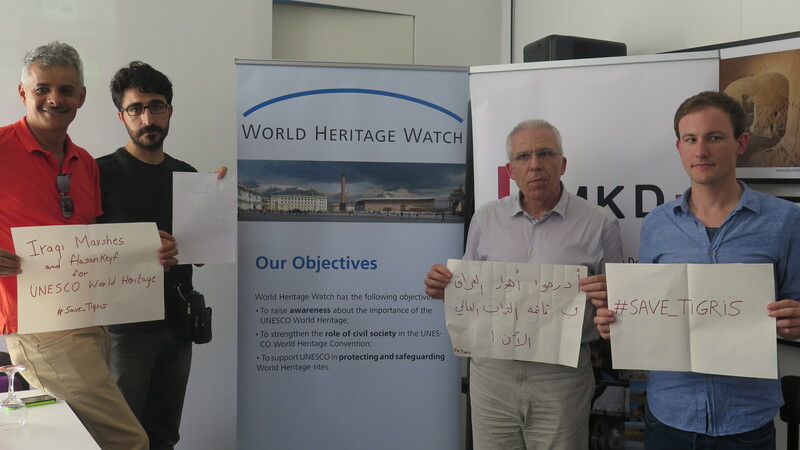 Following this year’s World Heritage Committee meeting in Istanbul Iraqi civil society is expecting Committee member states to support their demand to include the Iraqi Marshes in the UNESCO World Heritage list. A “yes” vote for inclusion would be a first step towards the preservation of the Marshes.